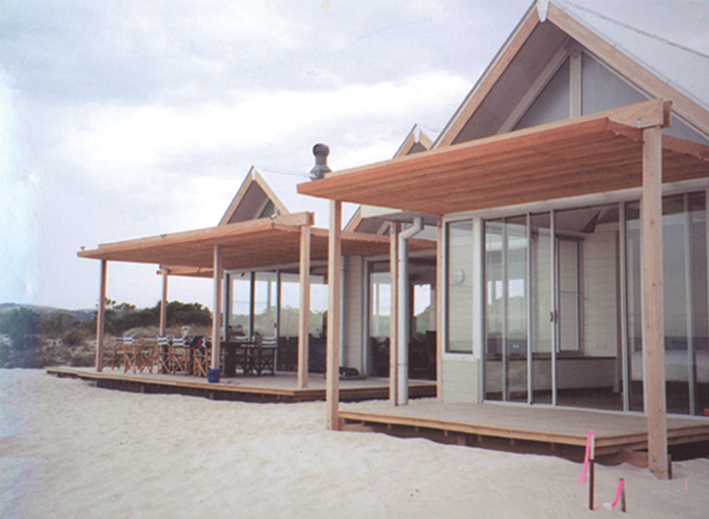 The Sweeney Beach-house pavilions sit to a timber platform above and stabilising the low dunes at Lady Bay. Levels are set to meet the Coastal Protection Board’s advice for rising sea levels. Broad sea views are westward, but the arrangement of pavilions enables the house to always find north – and to create sheltered outdoor spaces. 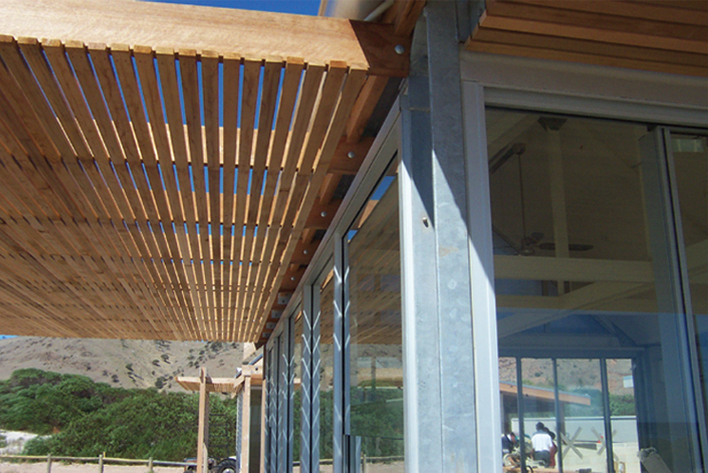 Beneath the dune platform rainwater tanks and grey water cycling systems are accommodated. Inside painted matchboards and soft tones gently sing ‘beach-house’. Outside all timbers and pre-coloured blockwork are selected for durability and to softly age gracefully without finish. Humble materials, relaxed beach vibe.